2004. Photographers always want a new view of what it’s like in the long-term (-20°C) cold store. 2008. Ruaraidh with Flora “Pola” de Guzman, head of genebank operations, holding ceremonial box number 1 from IRRI ready for shipment to the Svalbard Global Seed Vault. This was to be the first box deposited in the Vault during the opening ceremony, and was specially prepared for this role, containing representatives of varieties from every country that has deposited seeds in the genebank at IRRI, and labelled with those countries’ flags and a map of their origins. 2012. Ruaraidh inspecting one of the genebank’s field trials. Photo: Isagani Serrano/IRRI. 2014. Celebrating publication of the first 3000 whole rice genome sequences, with the main players from the IRRI team in the active collection (4°C). From the back left: Nickolai Alexandrov (head of bioinformatics), Renato “Ato” Reaño (genebank head of field operations), Hei Leung (leading IRRI’s collaboration with BGI and CAAS on sequencing), Grace Capilit (genebank head of data management), Elizabeth “Yvette” Naredo (genebank molecular research), Ramil “Mau” Mauleon (bioinformatics), Soccorro “Soccie” Almazan (genebank head of wild rice), Kenneth “Ken” McNally (genebank head of molecular research), Flora “Pola” de Guzman (genebank head of genebank operations), Sheila Mae Mercado (genebank molecular research), Ruaraidh. Photo: Isagani Serrano/IRRI. 2018. Outside the building that houses the genebank on the IRRI campus. 2018. A set of novel views. Here with one of the “seed files”, samples of original seeds kept as reference material against which to validate the identity of new seeds of the same accession. 2018. In the active collection of the IRRI genebank. 2018. Inspecting a set of packets that have been withdrawn from the cold store to prepare for distribution. Just after Ruaraidh Sackville Hamilton started his PhD, he was asked to review a manuscript which described a very complicated experimental design that would enable people to breed plants more successfully. In the introduction, the author stated that none of this would be necessary, of course, if the full DNA sequences of plants, and the functions of the genes contained within those sequences, were known. When he read that manuscript Ruaraidh had already been interested in plant genetic resources for a number of years. He was in the second year of his undergraduate degree at Cambridge in the United Kingdom when his eyes were first opened to the astonishing way in which living things can change from generation to generation. He found it “mind-boggling.” Ruaraidh started taking as many applied courses on plant genetics, plant breeding, plant ecology and statistics as he could. He recognized the importance of conserving diversity and he recognized that his career path was laid. At the end of his undergraduate degree, he was invited to stay on and complete a PhD in plant genetic resources conservation. 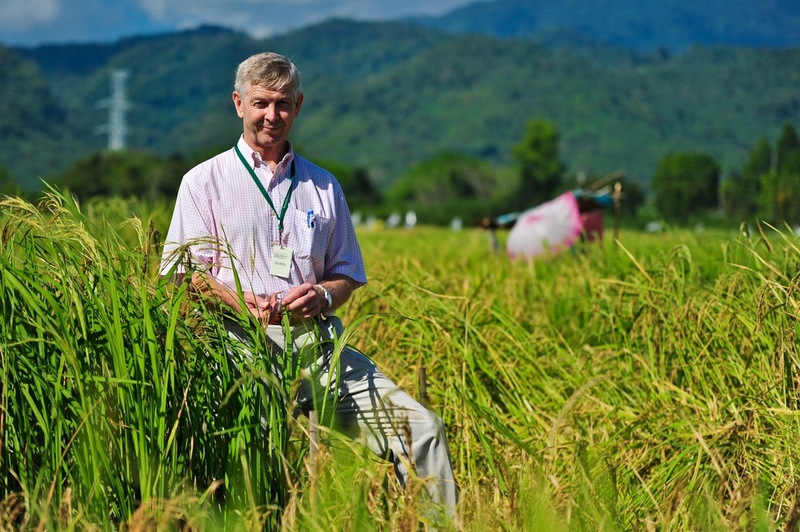 A few years later, Ruaraidh was working as a documentation consultant to the Food and Agriculture Organization of the United Nations (FAO) and entered a CGIAR genebank for the first time. The International Center for Agricultural Research in the Dry Areas (ICARDA) in Syria was only three years old but already had a functioning genebank. “They had a large collection of dryland cereals and legumes there, which was really impressive,” Ruaraidh recalls. 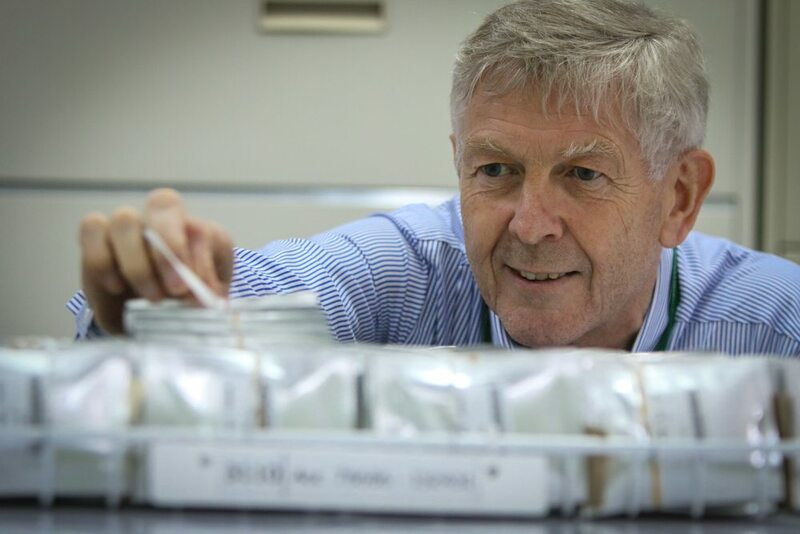 In 1984, Ruaraidh began working at the International Center for Tropical Agriculture (CIAT) to develop a documentation system that would help both breeders and genebanks. The experience opened his eyes to the complexities of their information needs and challenges, and to the emerging technologies available to help. 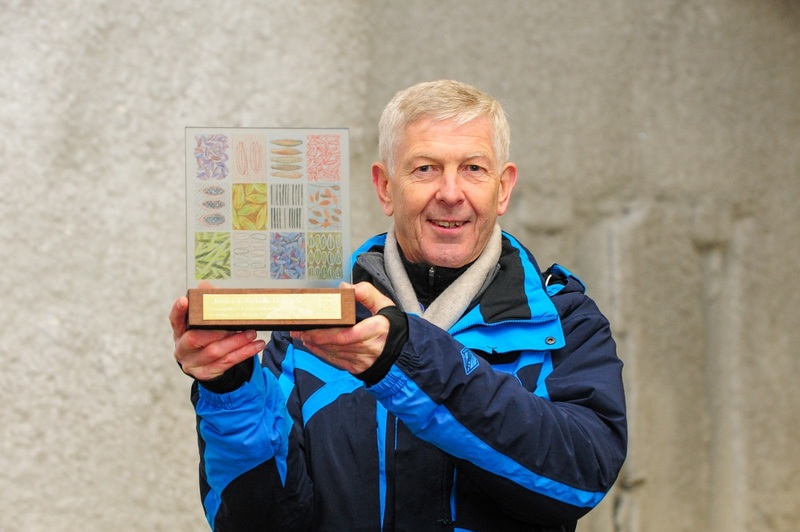 By 1991, Ruaraidh was Head of the Biodiversity Group and Genetic Resources Unit at the Institute of Grassland and Environmental Research (IGER) in Wales, where he was in charge of the UK’s national forages collection. 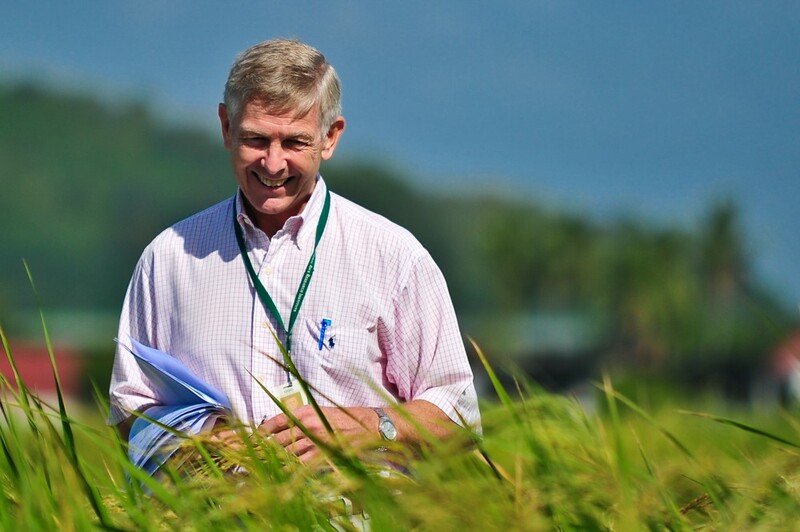 After 12 years at IGER, Ruaraidh was back in the CGIAR, having taken up the role of Head of the T.T. Chang Genetic Resources Center at the International Rice Research Institute (IRRI) in the Philippines. 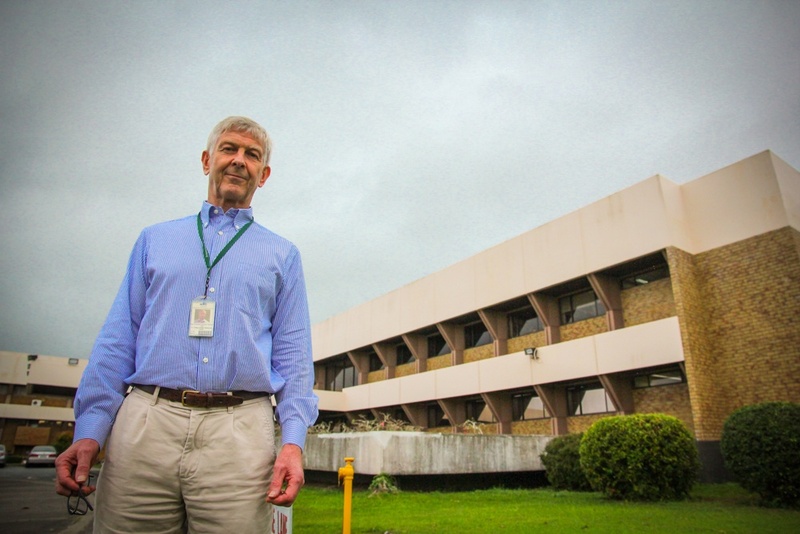 The plants he was dealing with now were as dissimilar from those at IGER as the volcanic islands of the Philippines are from the rolling Welsh countryside. It was a steep learning curve in more ways than one. 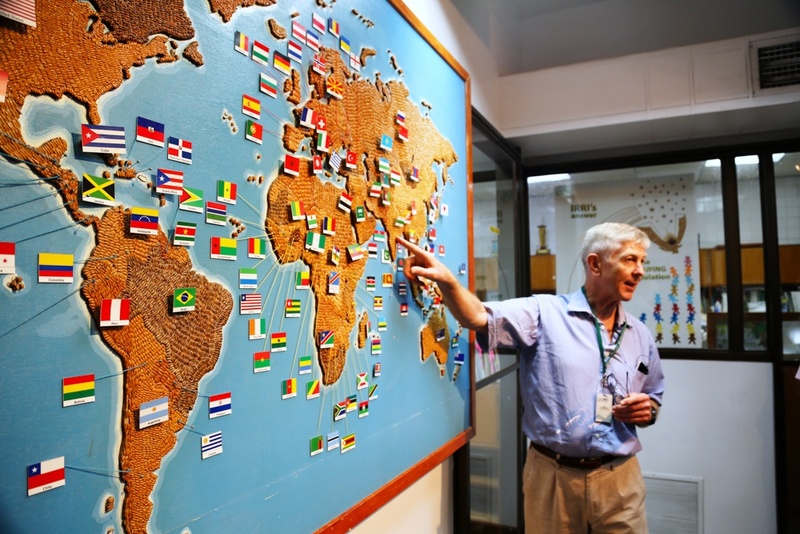 Ruaraidh appreciates the many good stories which lie hidden amongst the accessions at IRRI. It is these stories which fascinate Ruaraidh and have kept him excited about his work for more than 30 years. For example, one unique sample at IRRI, collected from a field in Nepal, has two rice grains rather than one inside each spikelet. The variety is called Laila Majnu, named for Layla and Majnun, two lovers in a forbidden romance – the 12th century Persian equivalent of Romeo and Juliet. The story of ‘divorced wife’ is that when a woman first cooked that rice, it was so delicious that she ate it all herself rather than sharing it with her husband. Apparently, those are reasonable grounds for divorce in at least one place. IRRI has a rice called ‘Te Puke’, which is from New Zealand. It is at this point that everyone says, “But rice doesn’t grow in New Zealand.” Mānuka honey, apples and lamb – definitely. But rice? Even the IRRI genebank staff thought it must be a mistake. A New Zealand radio crew was at IRRI doing a story on the genebank, and Ruaraidh told them about this oddly named accession. When the radio program went out, a farmer from the New Zealand town of Te Puke phoned in. He said that it was his rice and that his was the only farm in the whole of New Zealand to grow rice. His family has been farming the rice for 100 years, when the farmer’s grandfather first brought it to New Zealand from Japan. And this rice has been adapting to New Zealand conditions ever since. Genebanks in the CGIAR Research Centers are now organized under one umbrella – the Genebank Platform. Ruaraidh sees big benefits from this in terms of establishing a global community working together toward a rational, effective and efficient worldwide system for conserving genetic resources outside their natural habitats. Ruaraidh describes a pyramidal model for a rational, efficient global system of genebanks. At the base of the pyramid you have millions of farmers conserving and using plant resources who need to be supported by breeders with their working collections further up the pyramid. 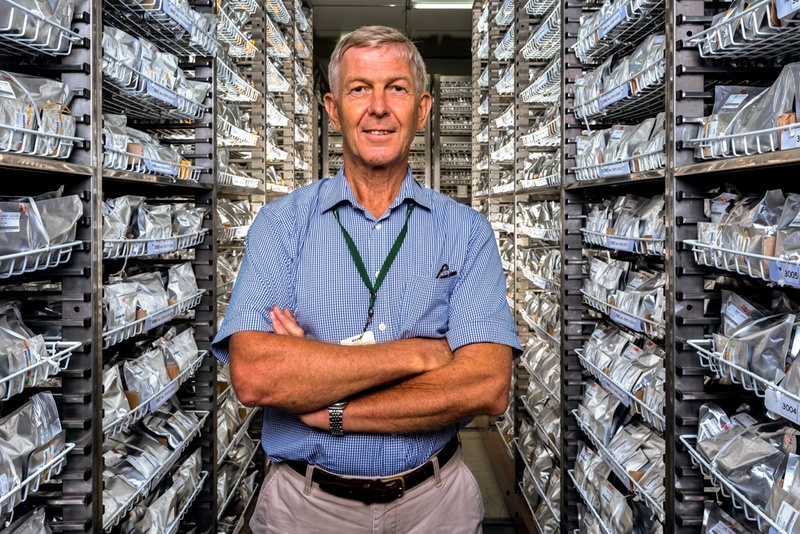 It is such issues – the politics surrounding plant genetic resources – that Ruaraidh considers to have been one of his greatest challenges in genebank management. In the 1980s and 1990s, concerns emerged that private companies were freely accessing plant genetic resources from developing countries, improving upon them, protecting these improvements as their own property and then selling expensive products back to developing countries. Many countries became reluctant to share their genetic resources – wild and cultivated – as a result. Much has changed since then, not least the coming into force of the International Treaty on PGRFA, but plant genetic resources continue to be a delicate issue politically. 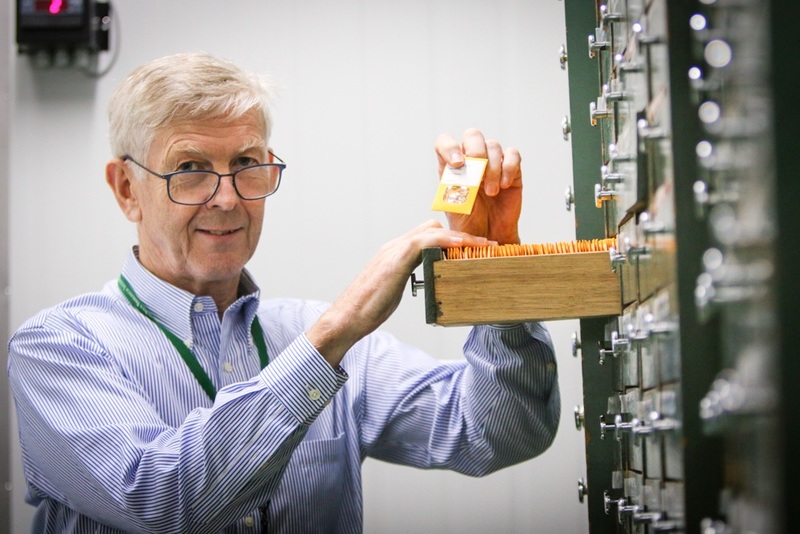 As well as acknowledging the political sensitivities that future genebank managers will undoubtedly have to navigate, Ruaraidh is concerned about future funding, not only for the physical genebanks themselves but also for training the next generation of genebank managers. 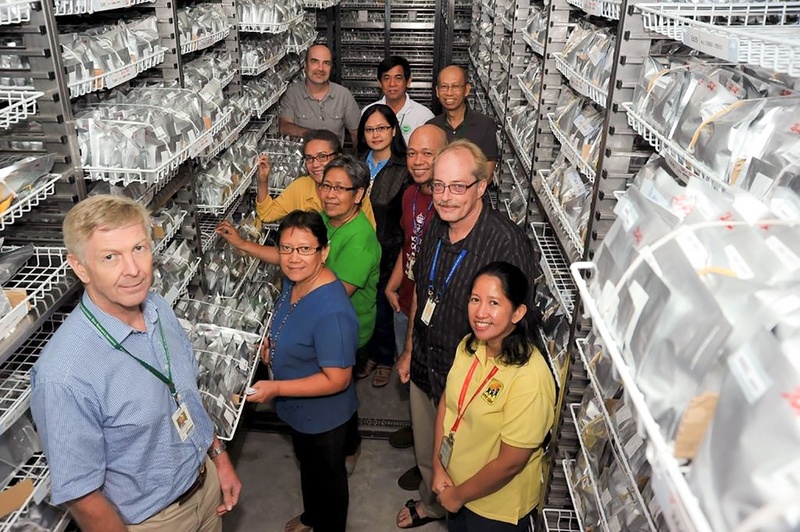 Indeed, the team at IRRI, Ruaraidh included, has worked well together for 15 years to find ways to improve the way the genebank is managed and used. 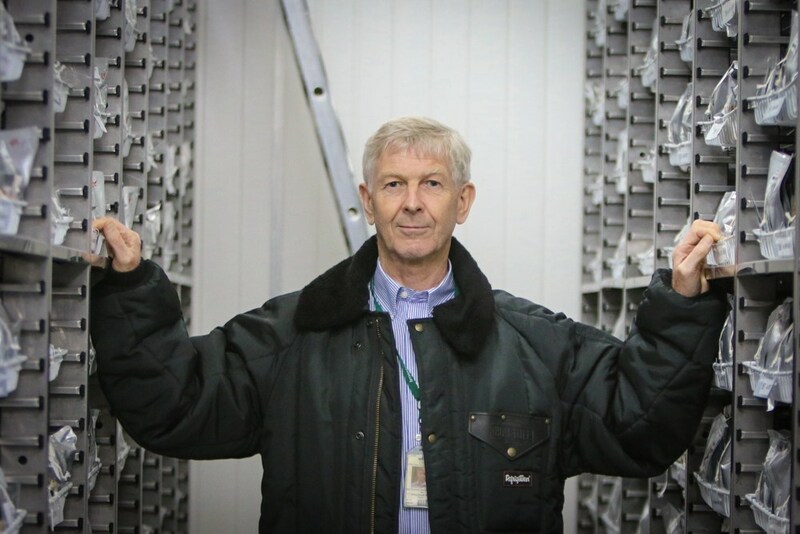 Ruaraidh is particularly proud of the advances they have made in facilitating connections between the genebank and breeders. 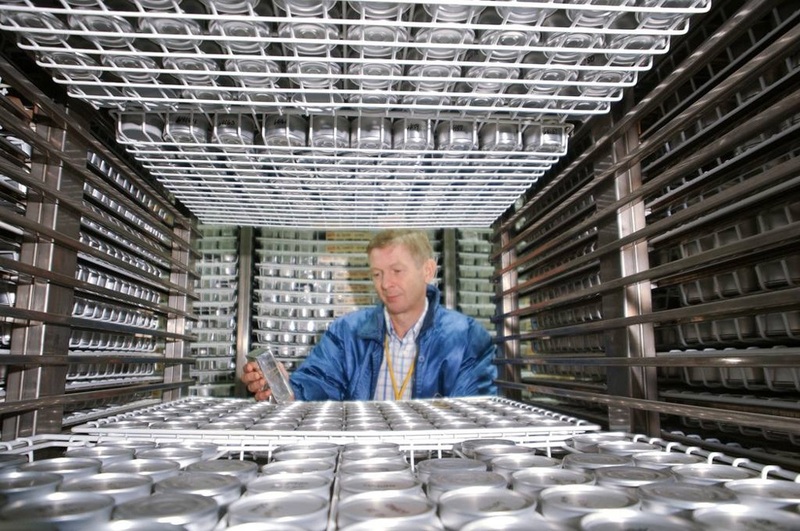 Ruaraidh credits the team’s ability to effectively rethink and invent new ways of doing things for the improvements they’ve made to the genebank operations over the years, but as Head of the team he has clearly helped to foster an environment in which innovation is not only possible but encouraged.